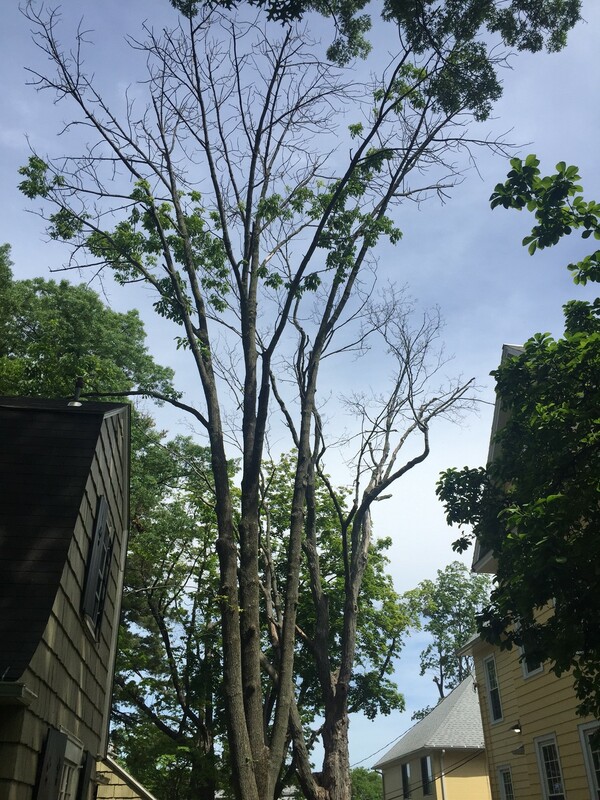 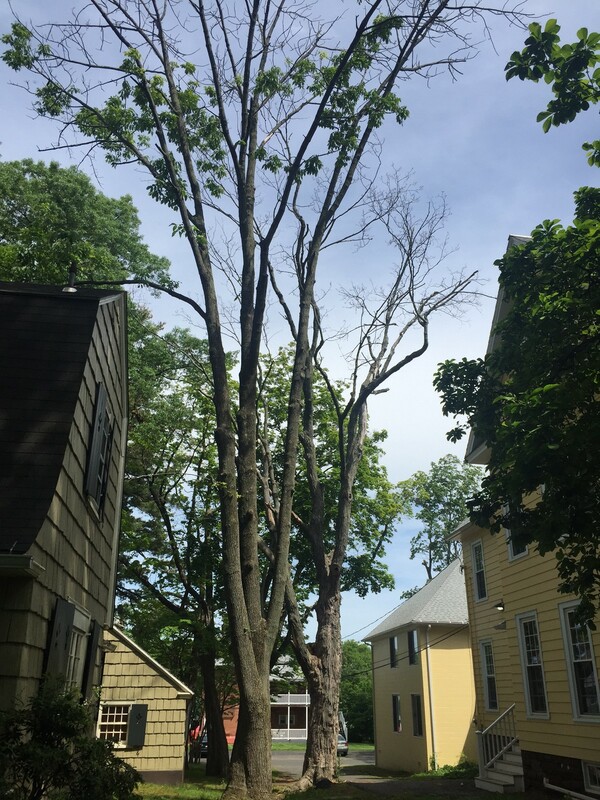 This is our second round of tree removal for the summer. 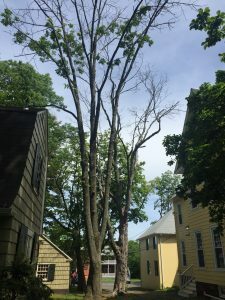 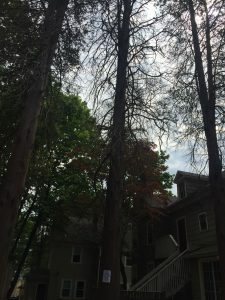 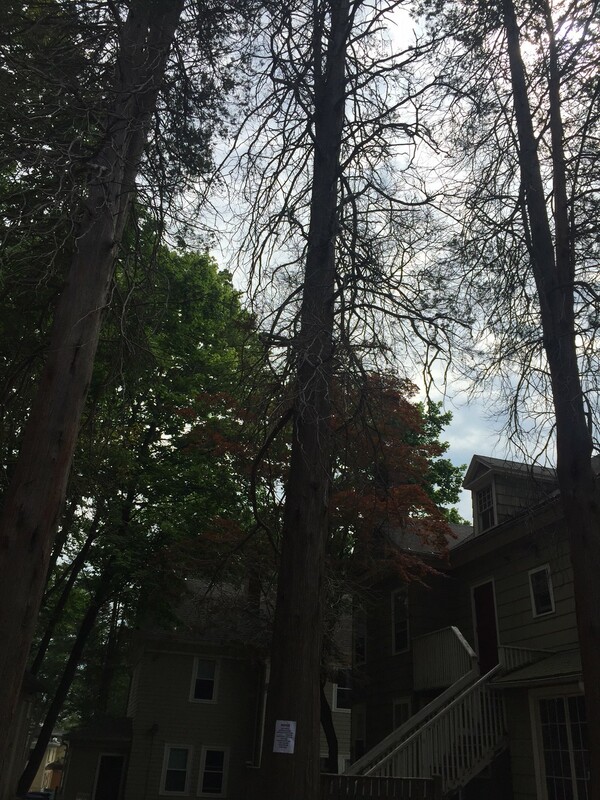 In most cases, the trees will have to be removed because they are dead, or dying, and pose a hazard to the community. 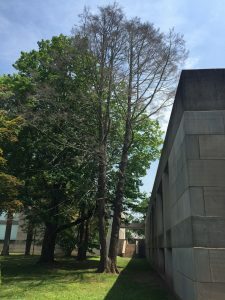 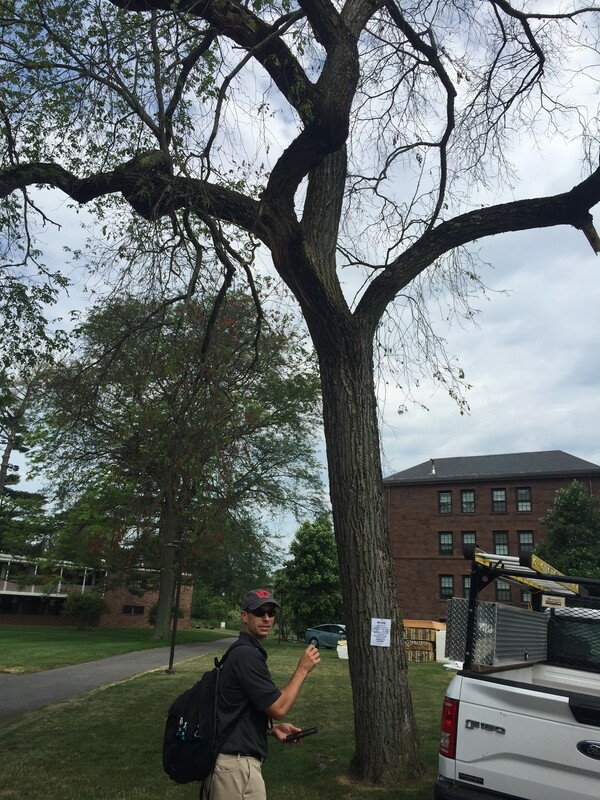 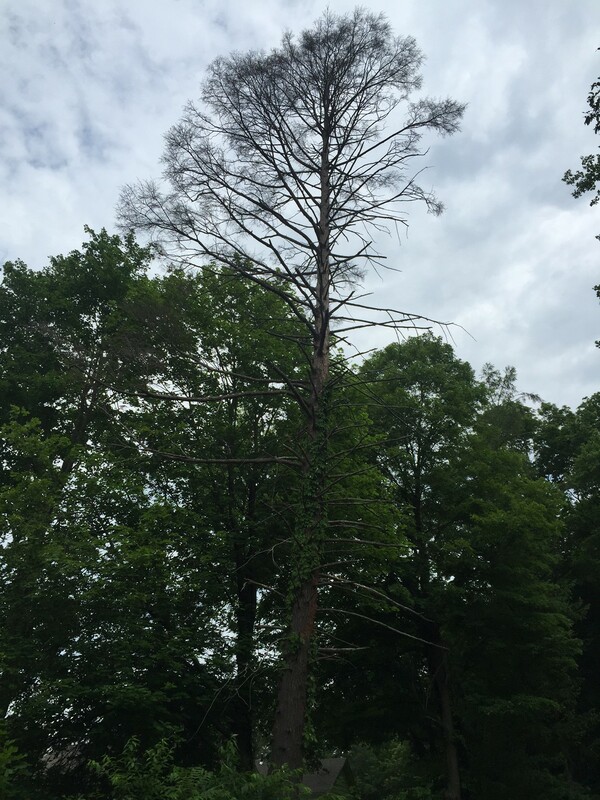 Olin Library – This tree is one of our beloved Elms. 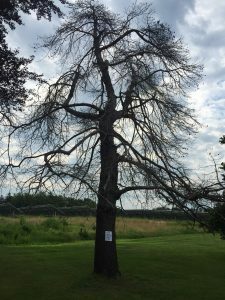 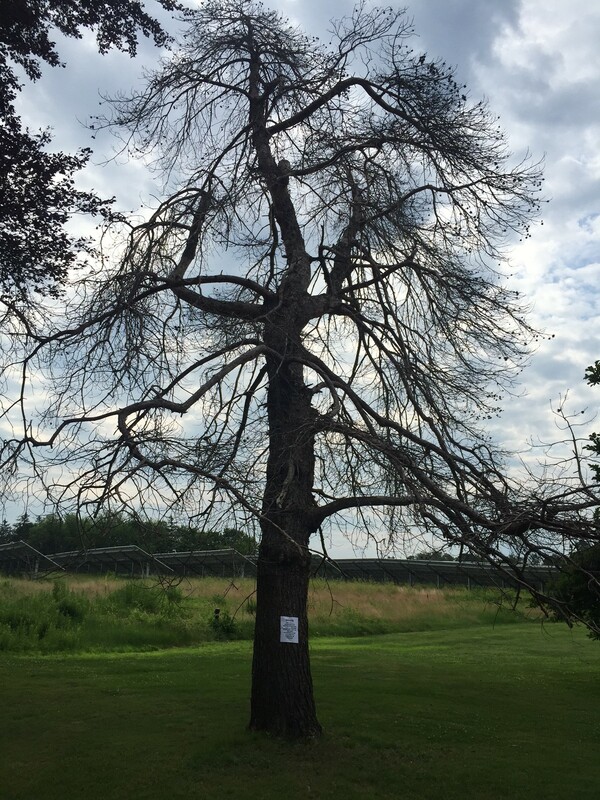 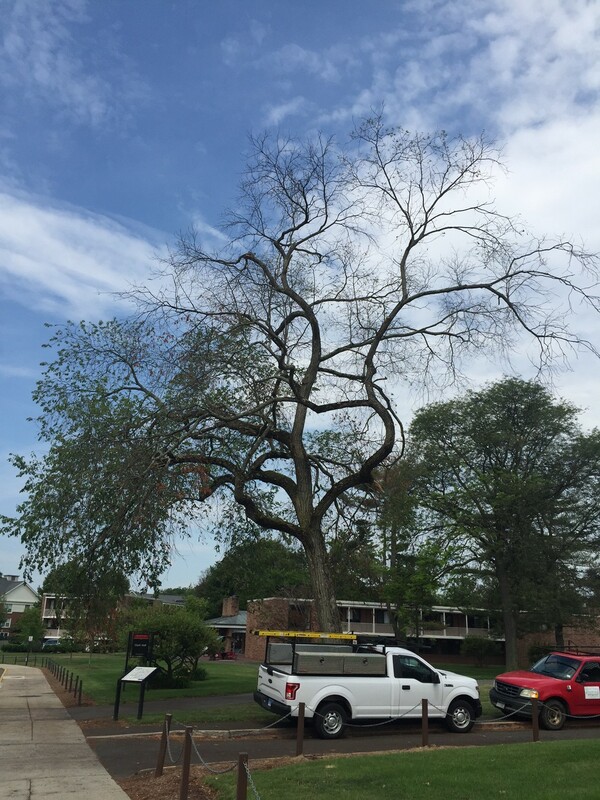 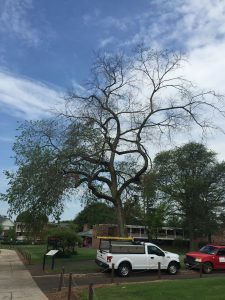 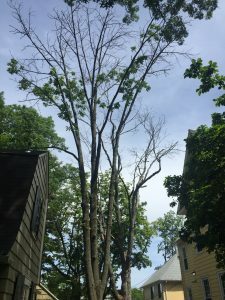 Unfortunately it has Dutch Elm disease.